Mount Wilson and Surrounding Area. Image Credit: University of Southern California. Today’s wallpaper isn’t so much a wallpaper as much as it is an excuse to link to a fantastic digital library. 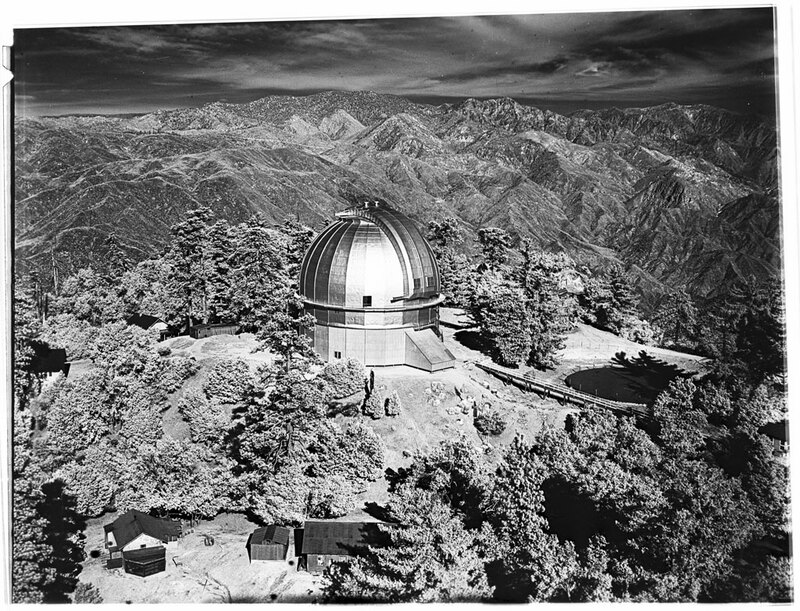 I spend a great deal of time poking through the USC Digital Library while prepping lectures (on Greene and Greene, for instance), but it only just occurred to me to look for images of observatories like the one featured above of Mount Wilson Observatory in the snow. The library includes several images from Mount Wilson, including a shot of the 60-inch telescope taken c. 1930 and “Men in Suits Inspecting Telescope Apparata” from the same time period.